With all the recent talk about bat flipping and fist pumping and making baseball fun again for a generation of players more concerned with self-expression than how that expression might be interpreted, it’s easy to lose sight of some of the more nuanced facets of the Code. Once upon a time, players were expected to feel empathy for a struggling opponent. It’s a direct relative of the don’t-pile-on ethos that leads football and basketball teams to pull their starters late in blowout games. Take your foot off the pedal when extra gas is no longer useful to your cause. Make things easy. Show some respect. Pertinent to this story is the concept of not swinging at the first pitch following back-to-back home runs. The idea is to give a struggling pitcher a small window of opportunity—a freebie pitch with which to regain his bearings. Was Posey wrong? Of course not. 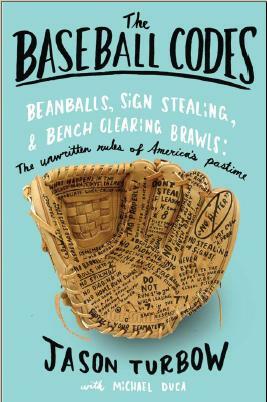 The reality is that the aforementioned piece of Code, while among the noblest of baseball’s unwritten rules, had its detractors even during McRae’s day. Batters are paid to hit the ball, a status that does not change late in blowout games, and many did not want to be deprived of that opportunity. In the modern game, of course, with the Code so thoroughly diminished, the rule seems downright quaint … if it seems like anything at all. So what’s the point of a rule that few people know about, nobody follows, and which wasn’t universally popular even in its heyday? Maybe it’s the simple act of knowing it. Knowing that it exists, and that once a time there were players who abided by it. It offers a window not only into baseball’s past, but into its soul, a reminder that even if the ideals that drove a different generation are no longer worth of imitation, they’re still worthy of veneration. The game has moved on, and that’s okay. It sure is nice to remember where it came from, though. Previous postDo the Royals Really Want a Piece of Noah Syndergaard? Why the Hell Would They? Works both ways, I guess. Just as hitters now swing freely in those situations, it doesn’t often occur to pitchers that keeping a batter light on his feet is a good way to counter that kind of success.